I first heard about this book from Anna's blog and when I saw the title I immediately went to goodreads to find out more. 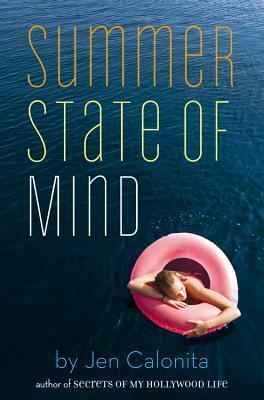 SUMMER STATE OF MIND is pretty much me, all the time. So naturally I had to investigate this novel. On further inquiry I realized, that YES, I need this book in my life. It sounds like the perfect read to take with you to the beach/pool and lose a couple of hours under the shade. I absolutely love this cover! What a fantastic looking read! Thank you for posting it. Also, your site is gorgeous! This is the first time I am seeing this book and it sounds wonderful! thank-you for sharing. I loved Sleepaway Girls so much and loved the camp so when I heard about this book, I was really interested as well. For some reason, camp is always one of my favourite settings so I'm really excited for this book as well!